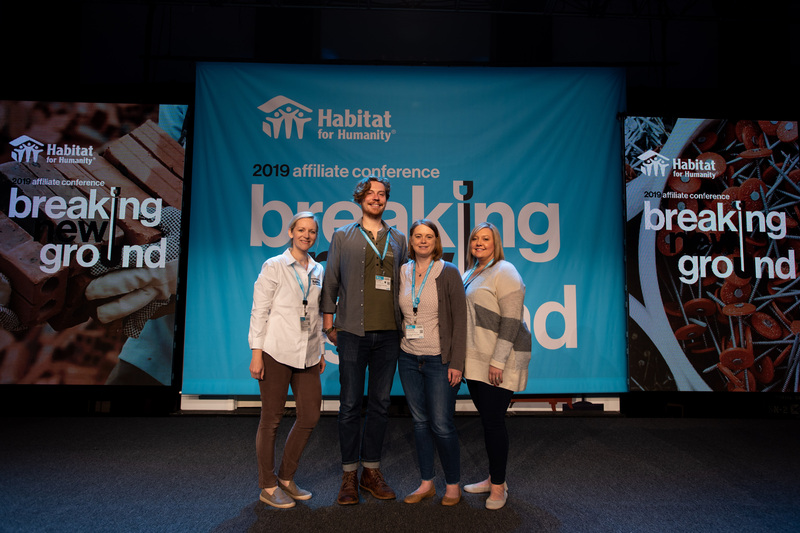 More than 2,000 people—leaders, volunteers, staff members and board members—attended the conference, including four staff members from NWV Habitat. Each day of the conference was packed with workshop sessions ranging from construction science to marketing to volunteer outreach and management. One of the highlights included a presentation from Jonathan and Drew Scott of HGTV’s popular show Property Brothers. The Scott brothers are longtime Habitat supporters. Atlanta is home to Habitat for Humanity International. The headquarters are located just a few blocks from the hotels where the conference was held. Habitat banners were proudly displayed throughout the downtown and many businesses boasted "Welcome Habitat" signs.